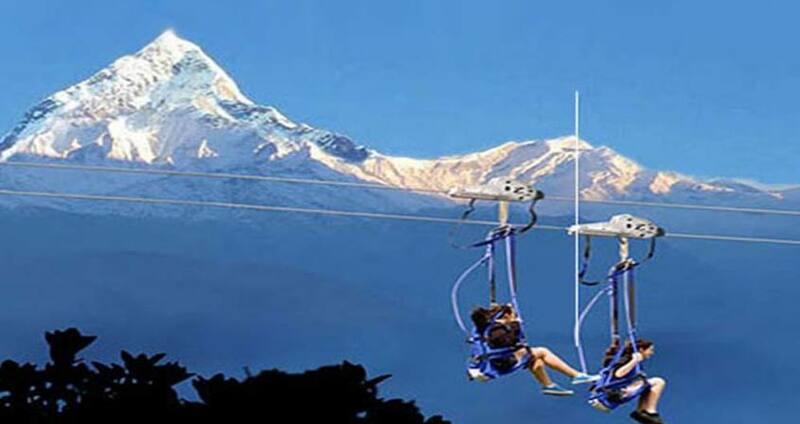 Zip Flying in Nepal with Pink Mountain Treks and Expedition is one of the worth adventure in life for the adventure explorer. Your adventure begins when you board your shuttle for the ride to the top of the mountain. Your guide will narrate as you pass through the village of Sarangkot and then up the mountainside. Once on top you will take a short walk to the Butterfly Pavilion, an architectural marvel with breath-taking views of the Himalayan range. While you sip coffee and wait for your turn we assure your wait will be exciting. At 5400 feet above sea level you will sit into a special harness seat and await your launch. Two guests launch at once, and it is a race to the bottom! 5,4,3, 2, 1 and you’re off, accelerating to 100 mph as you pass above the dense forest below. 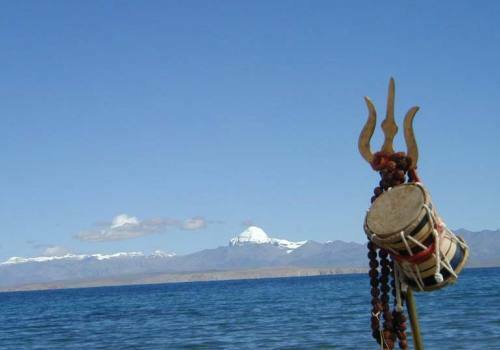 If your eyes are still open you will see sweeping views of majestic Machhapuchhre, the Annapurna range and the raging Seti River. Your ride concludes with a break-activated landing on the HighGround Triangle in the village of Hyangja. Videos and pictures of your ride will be available at the end of your ride! However, you would be required to book your helmet cam video when you purchase your ride. The world's most incredible zipline! Get excited and gear up. Set your sight on exploring completely new varieties of adventure activities that will push your adrenalin to the max! Challenge your spirit as you take on thrills, excitement and fun as you have never experienced before. The moment of madness, the feeling of utmost excitement, the sense of being free! Flyer though the clear, beautiful, picturesque vistas with the Annapurna range ahead and the dense green forest canopy below… It will without doubt be the most awesome experience that, before this, did not even know you could have!! Consisting of a trolley mounted on a steel cable 1.8 KM in length, the ride descends 2000 vertical feet at an angle of 56%. With resulting speeds of over 90 miles per hour, this makes it the most extreme zipline ride in the world. A ride of this magnitude has never been built before, and we assure you that this ride will truly be a unique experience. Safety first is our credo. Safety has been the leading criteria in our development of the Zip-Flyer ride. This system by Zip-Flyer LLC, USA is designed with the most advanced technologies and had delivered a state-of-the-art zipline ride. Ever part of this ride is designed to provide unparalleled ride, comfort and Safety, and the entire system is manufactured and precision engineered to equal or surpass standards set by agencies such as ANLS B77 Tramway, ASTM, and TV SUD codes. Day 05:Fly or drive back to Kathmandu. Day 5Fly or drive back to Kathmandu.You can extend your trip in Nepal to explore the Jungle safari in Chitwan National park or Buddhist Pilgrimage trip to Lumbini, Birthland of Buddha or other part of Nepal's Trip or Can take your Flight to your destination. Day 6Fly out.Pink Mountain Treks and Expedition's representative will drop you at airport before Three hours of your flight schedule.